Last week I published my first post with Blacks as I reviewed their fantastic Eurohike tent which I loved and today's post is the second and final post featuring Blacks. They stock a huge range of camping equipment, tents and more so you will find everything you need for a summer camping adventure! Don't forget to check out my first camping post! 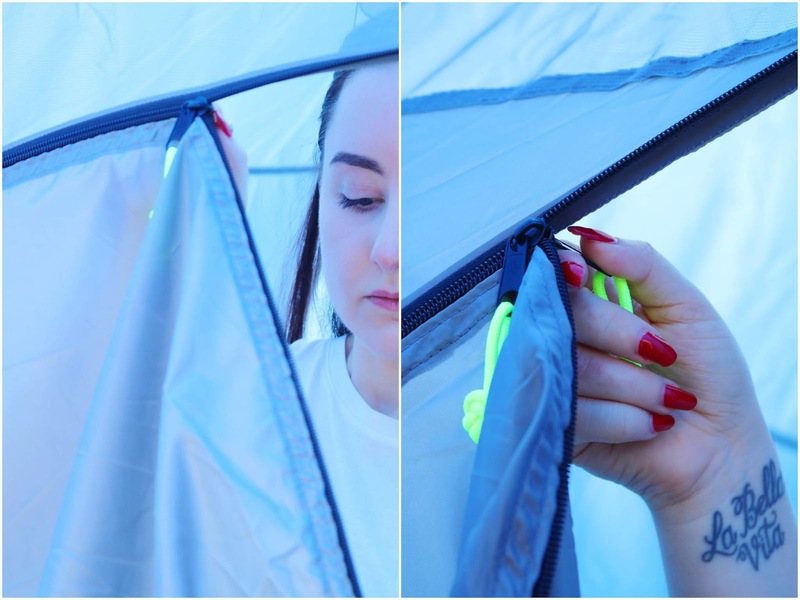 Today's post is all about camping equipment you'll need including the essentials, airbeds. As I mentioned in my previous camping post, I used to go camping with my family and friends constantly as I was growing up and one of the most frustrating and boring aspects of camping was setting up everything and putting everything back in the car as well as setting up the awful and uncomfortable flat camping beds. Thankfully there are far more comfortable options on Blacks Online. 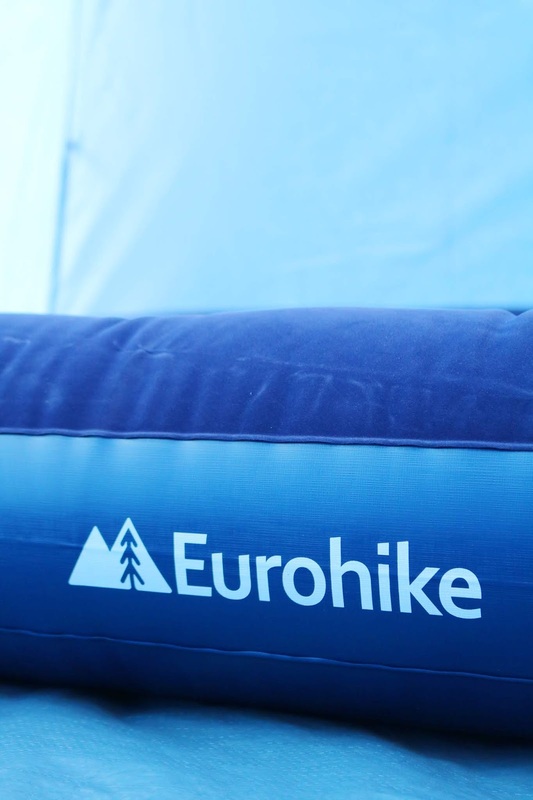 I was very kindly sent two of the Eurohike Double Flock Airbeds from Blacks which are non-slip, durable, phthalate free and two together is the perfect size (with a little extra room) for the five person tent I reviewed previously. The flocked surface means that it is very soft and your sleeping bag won't slide off. I used to have flat pack style camping beds which were awful to set up but setting up this airbed was so much quicker, easier and far less painful! I used a electric pump we already had and my car to inflate the airbeds. I would say that it only took about five minutes per airbed to inflate them fully which is very quick! The airbeds fit perfect within the tent, they match the tent which is always nice and they are very comfortable - I wish I had one of these while camping growing up as those flat pack beds were not comfortable at all. They seems very sturdy, they aren't too heavy when inflated or deflated so they would be easy to move around and they deflate quickly so they can be packed away. I would definitely recommend these airbeds, especially as they are currently on sale from £30 each to only £9 which is an amazing deal on Blacks. The tent I was kindly sent was also on sale from £170 to £80 and again, I cannot recommend it enough. If you're looking for camping equipment or tents this summer then look no further than Blacks. Have you been camping before? Will you be checking out Blacks? Oooooo they look fab! I love camping! I can't wait to take Penny camping. It's such an adorable way to have some quality family time. That is such a really good price for an airbed! 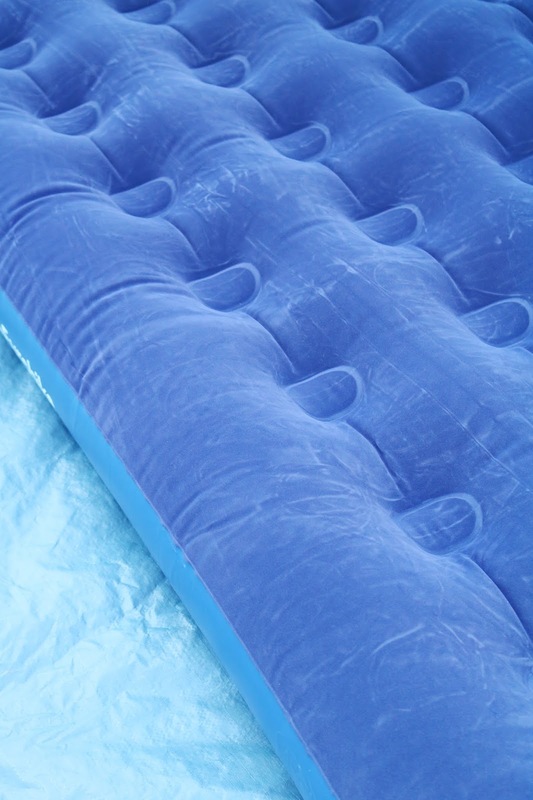 The airbed is the perfect thing to take camping! Air beds are so useful to have around the house! An air bed would be my choice for camping, Keeps me off the ground a bit more. I definitely need to invest in a temp mattress!